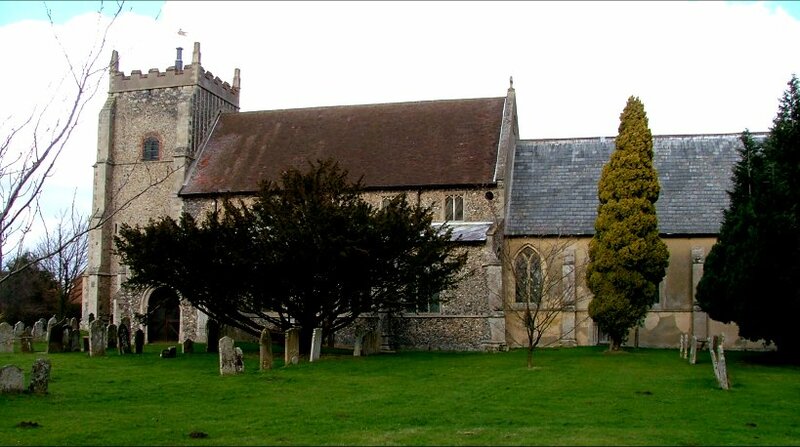 Just to the west of St Michael at Bunwell, this is another very big church off the Norwich to Attleborough road. Carleton Rode appears a pleasant, busy little village, and the award-winning school building directly opposite is also worth a look. 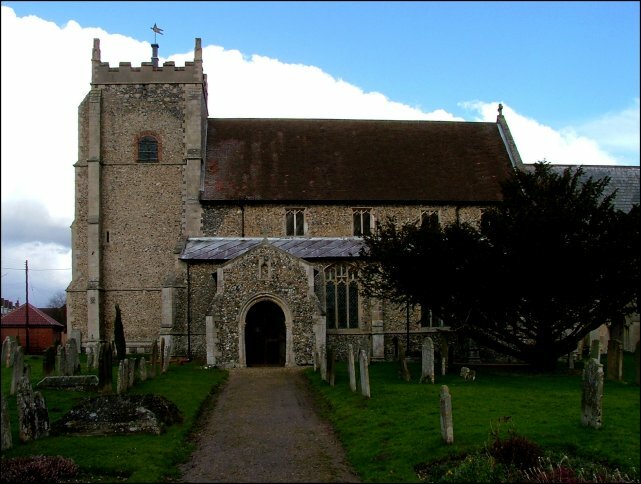 All Saints is part of the lovely Pilgrim Group of parishes, and as such is welcoming and accessible. The hunch-shouldered tower is the big difference between Bunwell and here. The 19th century topping- off is so well done that it may appear as if a huge church has been built against a small tower. In fact, the top collapsed in the 18th century, and it has been truncated. Otherwise, this is a Decorated tower against another of Norfolk's fine Perpendicular naves. 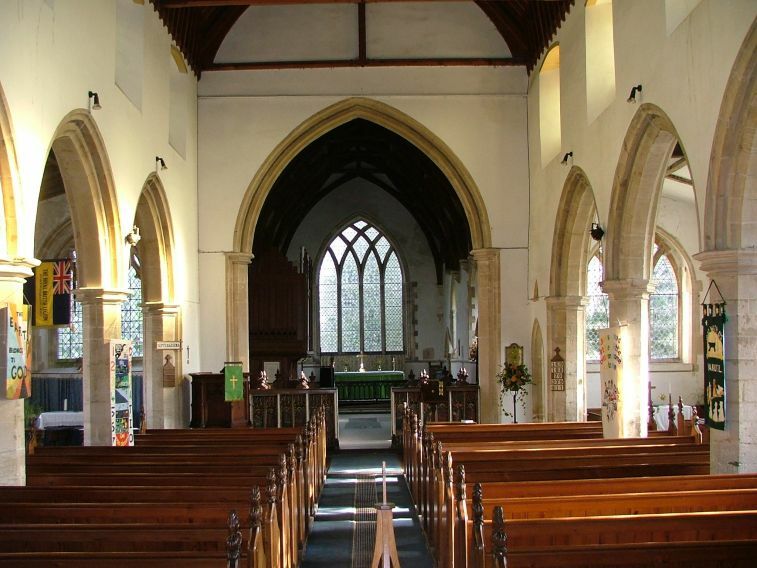 When the nave was rebuilt, probably at some time in the late 15th century, this was already an aisled church. 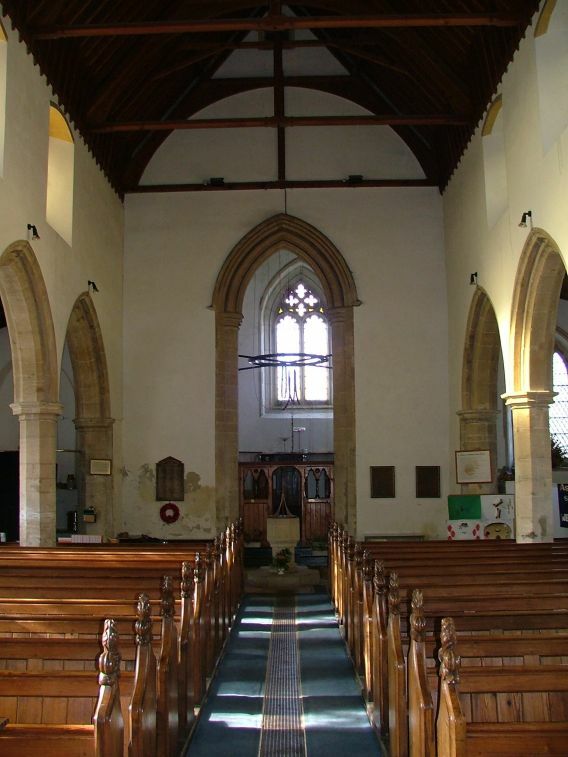 The east windows of the two aisles are older than the nave, and the east end of the new arcades falls short of the wide chancel arch, leaving an earlier arch on the south side which is little more than a large doorway. 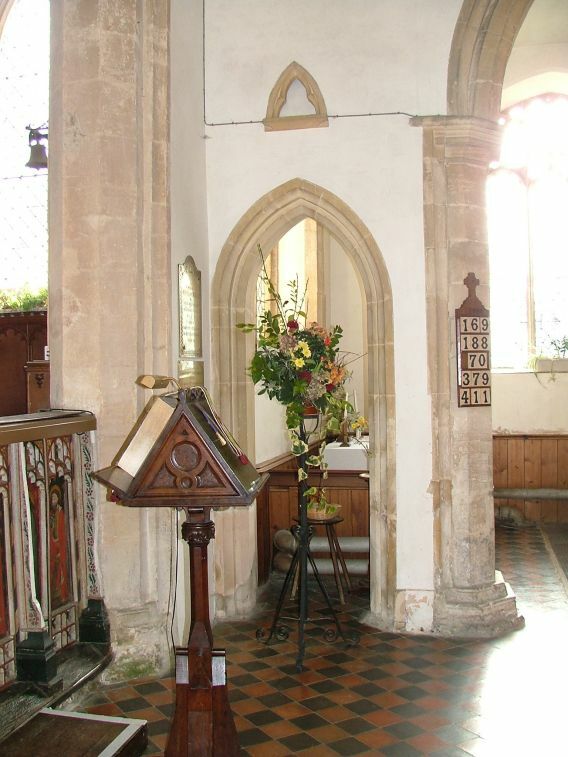 Could this have been the entrance to the rood loft stair? 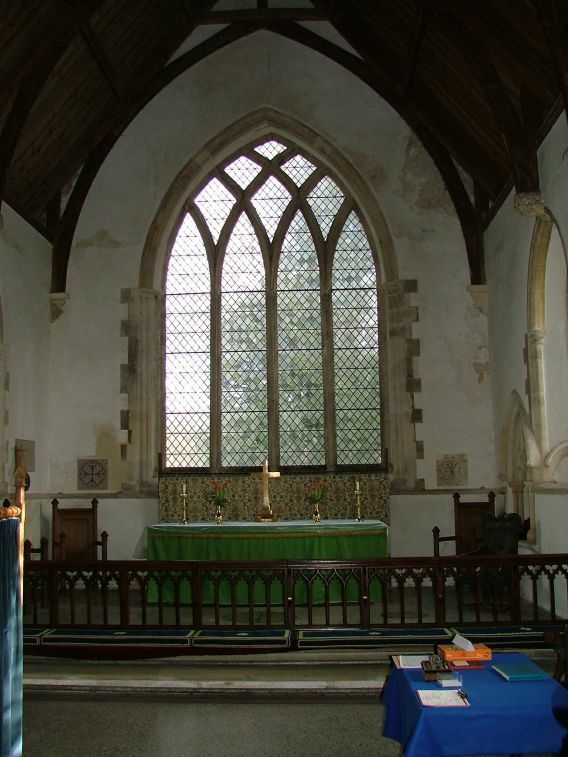 But the chancel, as you quickly notice, is something quite different again. 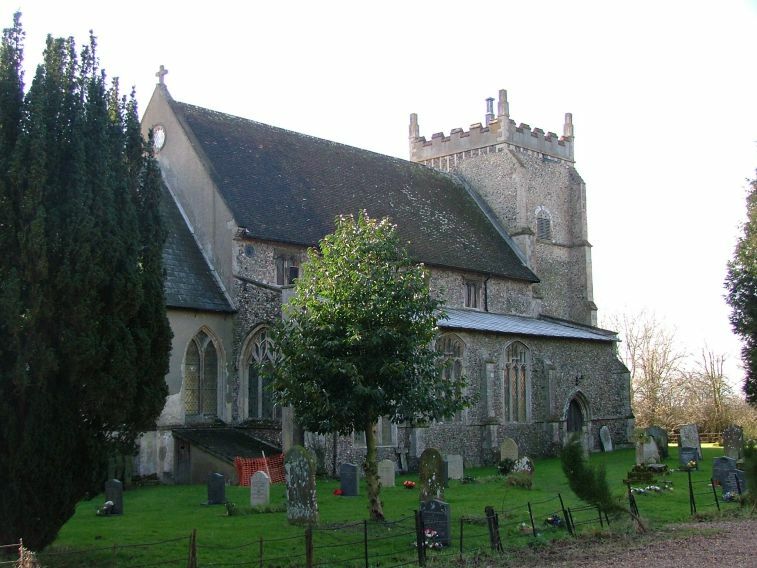 It is an extravagant Early English-becoming-Decorated structure of just before 1300. 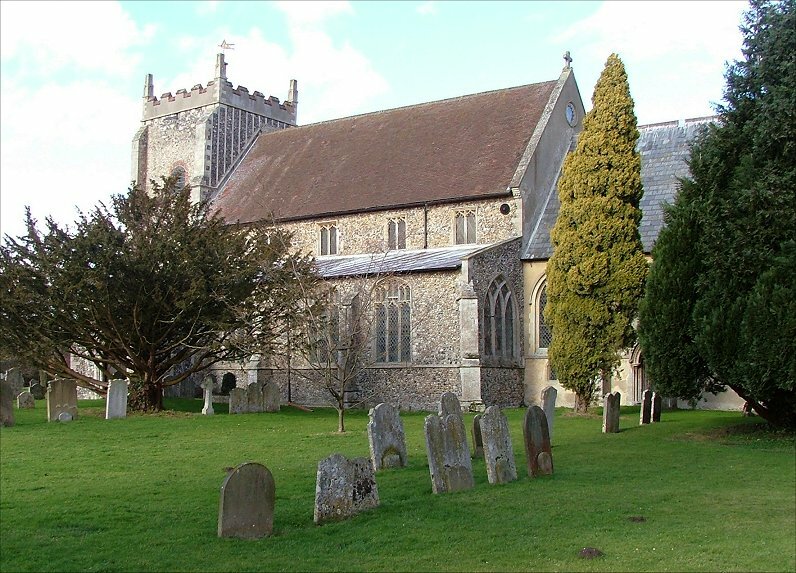 Chancels of this size and age are rare, because they often denote fairly wealthy parishes which were in a position to rebuild towards the end of the Middle Ages, as happened here with the nave. They also suffered more from the depredations of time, and were easy victims to Victorian enthusiasm. 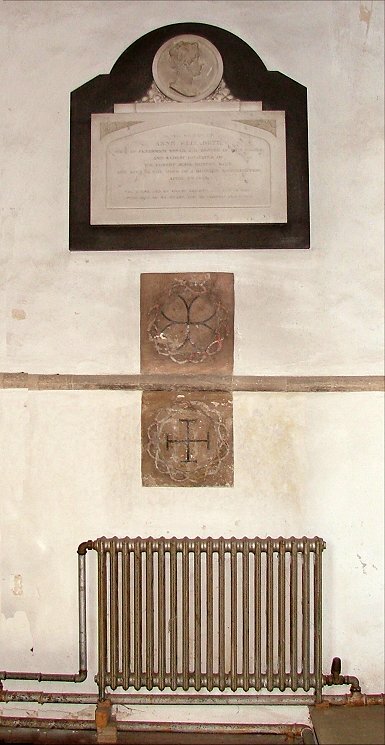 In fact, the Victorians were busy at Carleton Rode, but still the integrity of this beautiful chancel remains largely intact, including several of the consecration crosses from its original opening in the late 13th century. 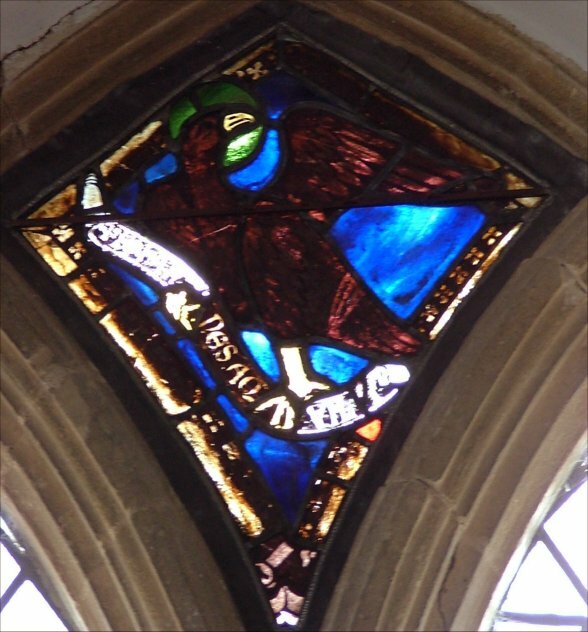 Even more exciting, there are three large panels of the original glass surviving in upper lights, a rare thing to find in East Anglia. 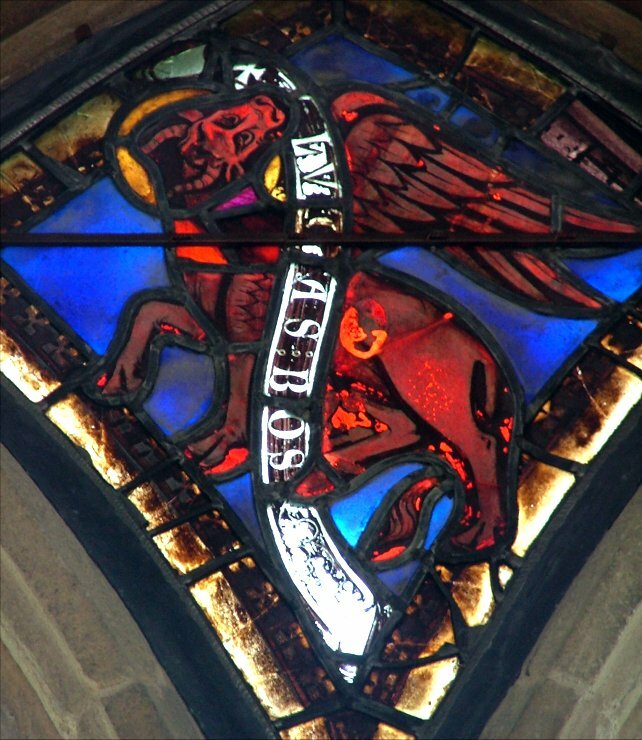 Two of them depict Evangelistic symbols, the Ox of St Luke and the Eagle of St John. 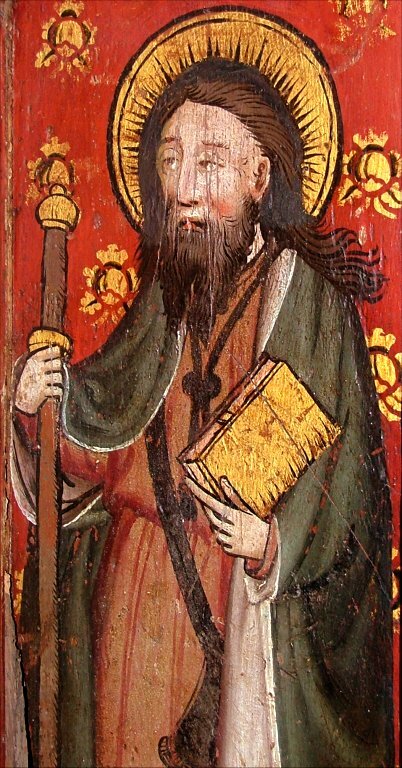 Indeed, they even have scrolls declaring Luccas Bos and Johannes Aquila. 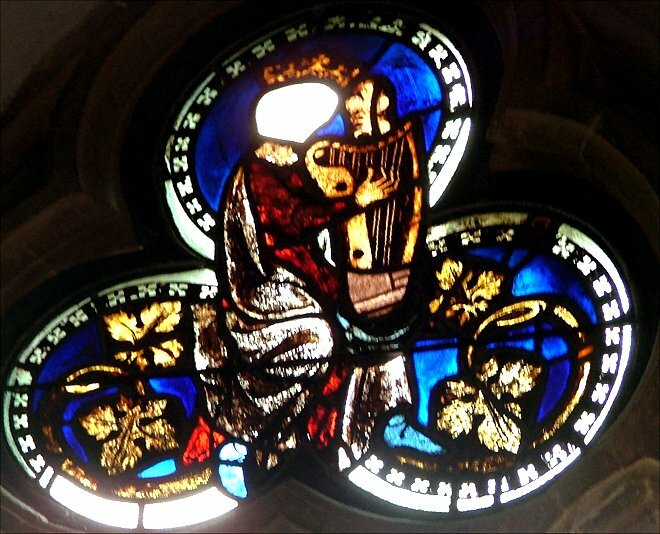 The third depicts a king playing a harp, and is David from the Old Testament. 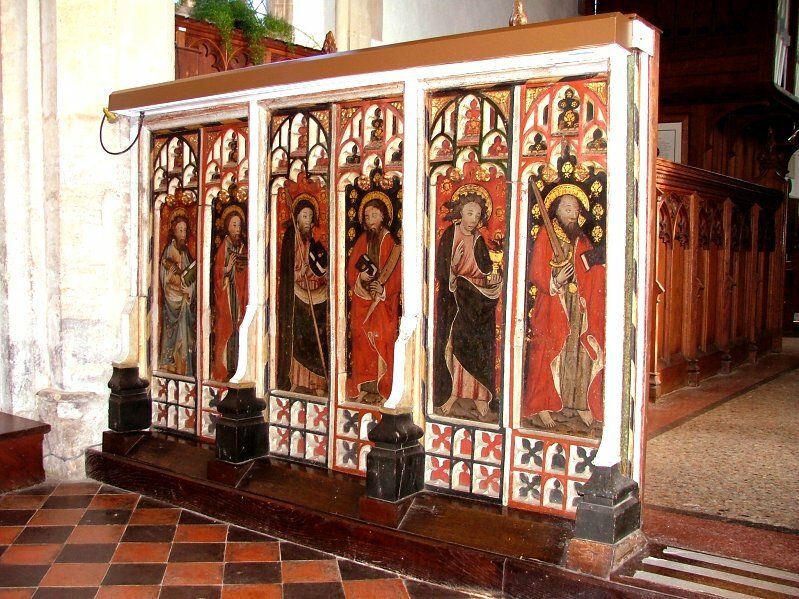 Unusually in this part of Norfolk, All Saints retains the dado of its roodscreen, which is contemporary with the rebuilding of the nave. 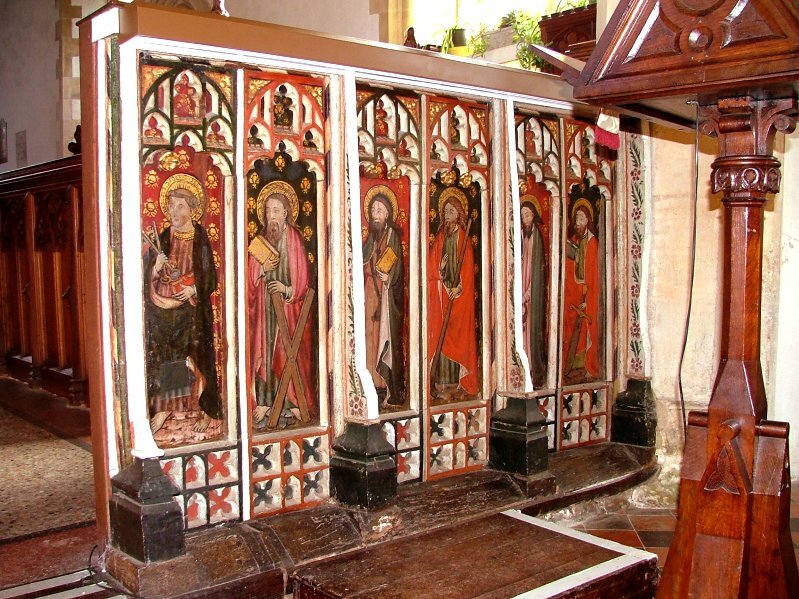 Its twelve panels depict eleven disciples and St Paul, but they have been repainted - or, more exactly, their restoration filled in the gaps left by time and iconoclasm. They are still worth a look, being a fairly good textbook series if you are interested in the symbols of Saints. 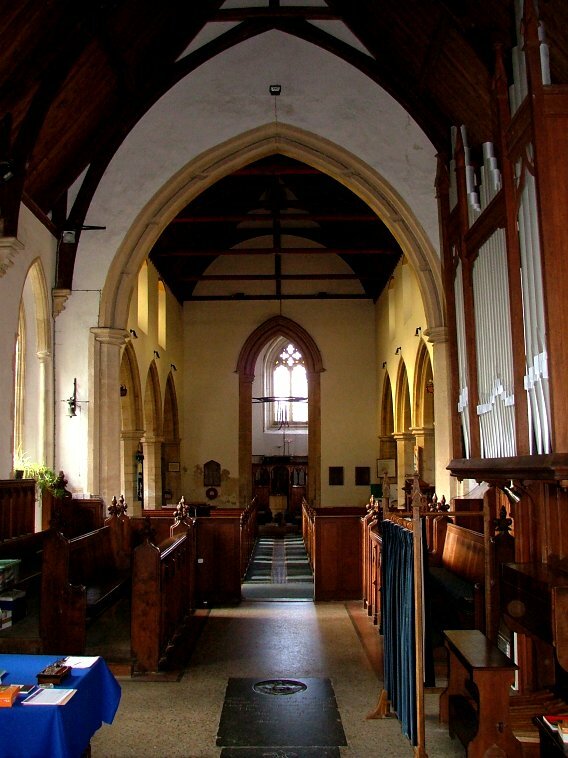 Inevitably, a large church that has had such an extensive 19th century restoration will have a tendency towards an urban anonymity; when the Victorians tried to recreate the medieval integrity of our parish churches, they scoured away the local peculiarities of the intervening centuries. 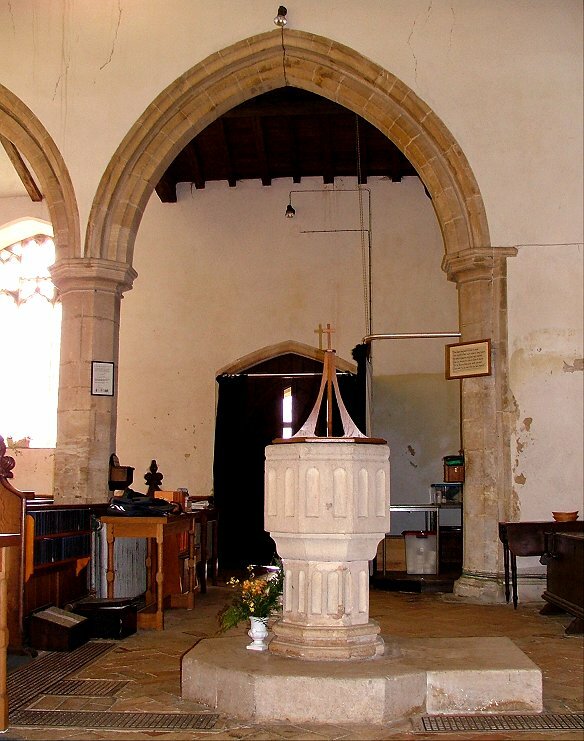 But All Saints is not without character, and retains one great curiosity in the form of its font. This is unlike any other I have seen in East Anglia. 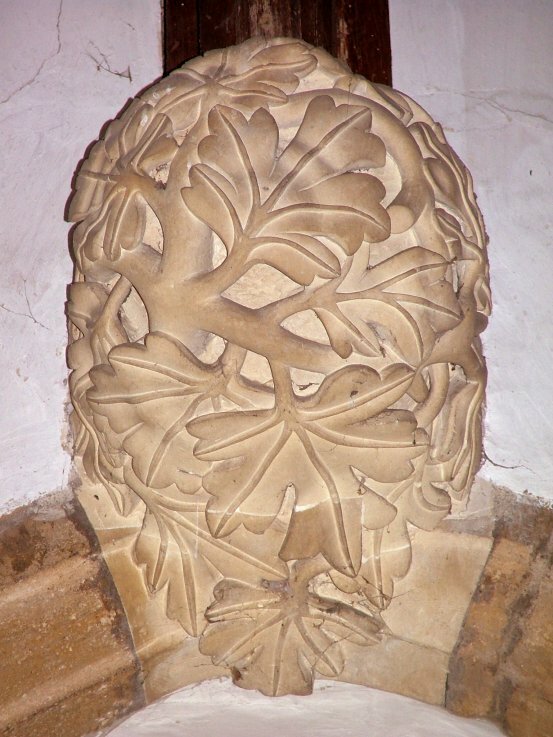 Although in proportion it is similar to fonts of the the 14th and 15th centuries, its relief, consisting of pairs of tall niches, appears secular, as if no religious significance was intended, and this was mere decoration. 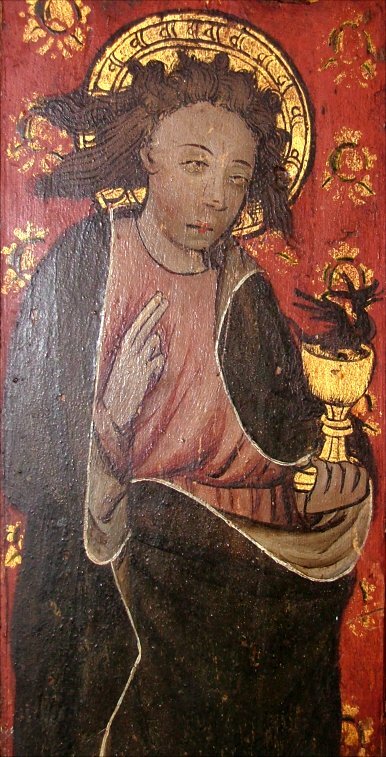 Could it be not medieval at all, but a product of the 18th century? 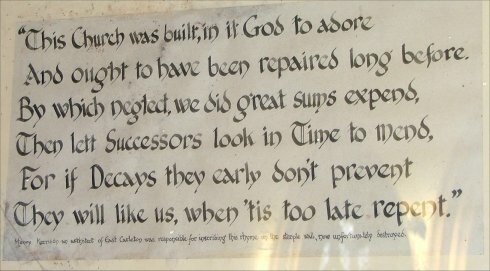 For if decays they early don't (sic) prevent, they will, like us, when 'tis too late, repent. 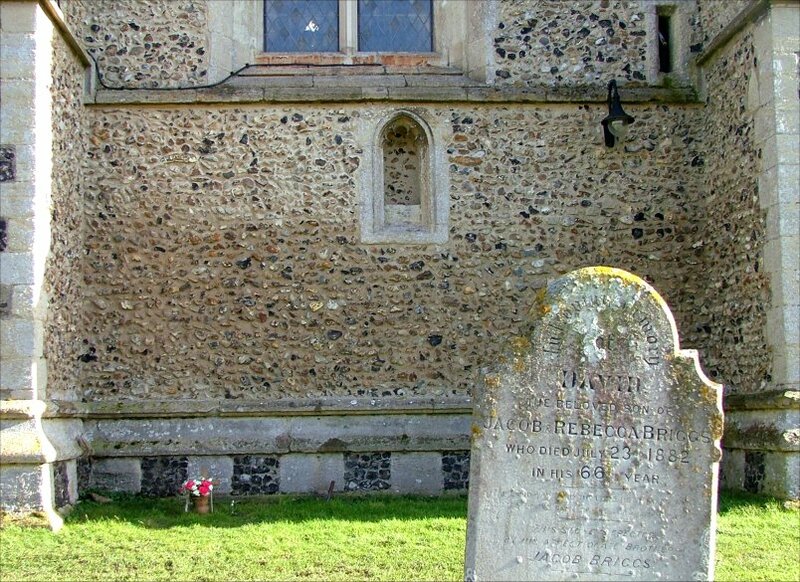 Finally, in the north aisle, a memorial recalls two Norfolk tragedies among many during the Second World War. 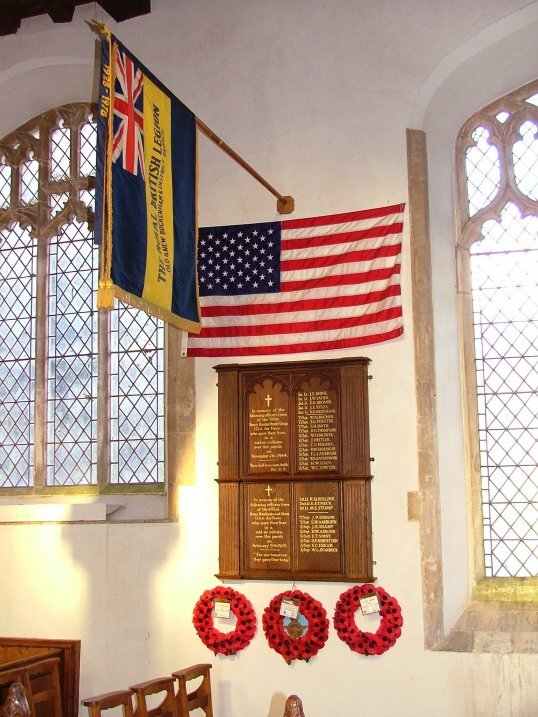 Twenty-eight American servicemen lost their lives in two separate mid-air collisions over this village, in 1944 and 1945. Their names are recorded here.